Rubicon Ranch is a collaborative and innovative crime series set in the desert community of Rubicon Ranch and is being written online by the authors of Second Wind Publishing. Seven authors were involved in this second book of the series — Rubicon Ranch: Necropieces. Residents of Rubicon Ranch are finding body parts scattered all over the desert. Who was the victim and why did someone want him so very dead? Everyone in this upscale housing development is hiding something. Everyone has an agenda. Everyone’s life will be different after they have encountered the Rubicon. Rubicon Ranch, that is. Although some of the characters were introduced in Rubicon Ranch: Riley’s Story, a previous collaboration, Rubicon Ranch: Necropieces is a stand-alone novel. Pat Bertram is a native of Colorado. When the traditional publishers stopped publishing her favorite type of book — character and story driven novels that can’t easily be slotted into a genre — she decided to write her own. 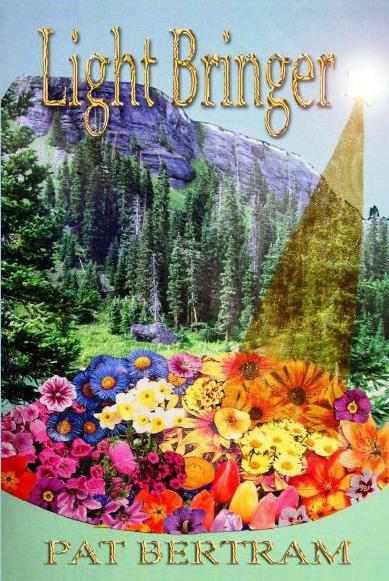 Light Bringer is Bertram’s fourth novel to be published by Second Wind Publishing, LLC. Also available are Daughter Am I, More Deaths Than One and A Spark of Heavenly Fire. J J Dare, an author since age seven, fondly recalls her first book and its “A+” review from her second grade teacher. Love for the amazing worlds the written word opens up keeps Dare writing. With two published novels under her belt, False Positive and False World, Dare continues to write thrillers and mysteries, with occasional romances, fantasies and dramas thrown into the mix. Claire Collins began telling stories as soon as she learned to talk, and she hasn’t stopped telling stories—or talking—since. After decades of writing in the closet, Claire became one of the very first authors published by Second Wind. Claire is the award-winning author of Images of Betrayal and Fate and Destiny. Deborah J Ledford, author of music themed suspense thrillers Staccato and Snare, is a three-time nominee for the Pushcart Prize and a nominee for the Hillerman Sky Award at Left Coast Crime 2011. Her award-winning short stories appear in numerous print publications and anthologies, most recently, How NOT to Survive a Vacation (Sisters in Crime Chapter Desert Sleuths).